I have been in many places in my lifetime but one of my favorite spots is Duck, North Carolina. You won’t find a more charming nook in which to live, work, and dream. I regret that my life took me away from Duck many years ago. I was looking for something – something I never found – though I looked far and wide. Now here I am, back in Duck again. I’ve been married many times. I know marriage isn’t for me. I’ve made and lost fortunes in big cities and golden shores across the sea. I think this might be my last move. I’m considering settling in Duck for good. People have written stories about me. I’m a pet psychic, you see. I can talk to animals of any kind though, not just dogs, cats, and turtles. My most famous exploit happened in Wilmington, North Carolina when I was working for the local radio station with my own call-in show. People could call and ask me questions about their pets. I tried to answer the best I could. 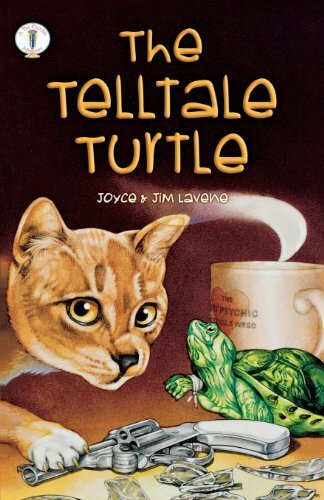 I solved a murder and it made the newspapers and was caught in fiction as The Telltale Turtle. 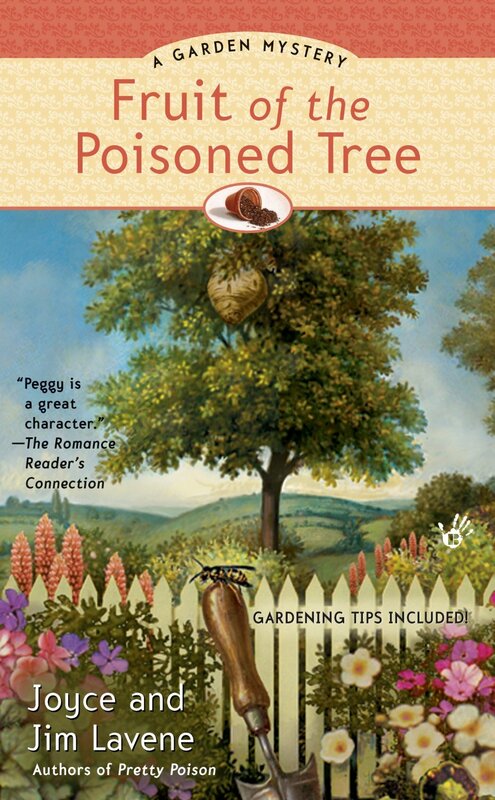 I was in Charlotte, North Carolina briefly where I was in another novel, Fruit of the Poisoned Tree. I only made a cameo appearance in that book when I helped out a local pet owner, Dr. Peggy Lee. She was having problems with her Great Dane. Now it appears that I will be in another novel with a fictionalized account of what Mayor Dae O’Donnell of Duck and I did to help free the Outer Banks from the return of a great evil. It’s an interesting enough book, I suppose, but not as exciting as the real thing! I’m not sure what I’ll do with myself here in Duck, but I am considering staying. I love Dae and her friends. They’ve made great improvements in Duck since I left. It’s quite invigorating living so close to the sea. Maybe this is what I was looking for all along. Available at Amazon Books for Pre-order on October 1st! Cute idea having a character cross over into different series. Maybe she can visit the renaissance fair some day. She may. Jessie and Chase visit Duck in the new book! I love the idea of characters appearing in different series. And I have been waiting for the next Dae mystery. Hope I win!! I love when writers do this too, Tina. I enjoyed the pet psychic books and am glad you're doing a cross over book. Thanks, Sandy! We've missed Mary Catherine. Thanks for being here, Patricia! Pet psychic - I would love to know what our Pug is thinking. He has quite the personality. We expect that eventually expect him to just turn around and tell us what is on his mind. Looks like I need to catch up with previous books and now this one. I'm sure he loves you! I would love to win one, especially one with a Christmas theme. I love the town of Duck!! And I'd like this pet psychic to help me understand my beagle kids. Hi Kiki! Some of Dae's Christmas Past is situated around Corolla! A beautiful place - but mysterious. Great series! Hope the pet psychic can help me with my calico that dislikes my two gingers. Thanks, Becky! I'll tell her you're looking for someone! Christmas is always a great season to set stories. 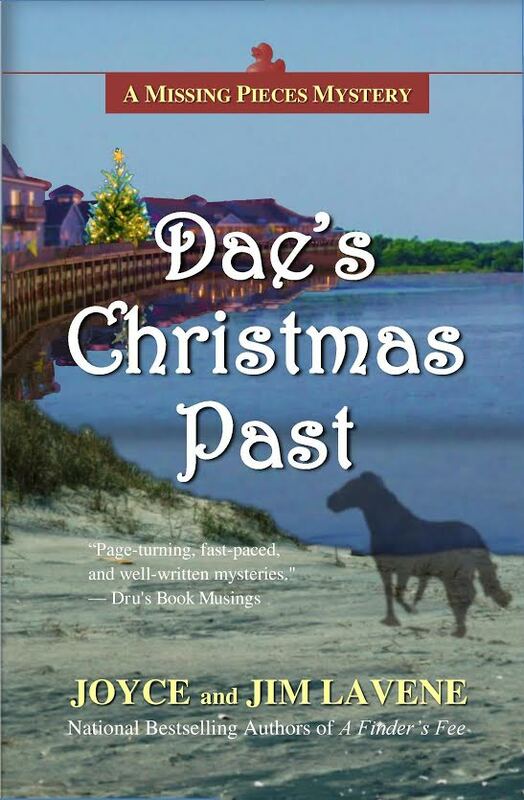 Since I love Dae and Duck, I'm looking forward to reading about Dae's Chritmas Past. I would need a pet psychic to understand my dog George, and we have lived together for 10 years. . . Yes, a pet psychic would be nice! I love the idea. I am new to this and would love to read more. I love all of the books by you and your husband that I have read so far. I can't wait for the newest installment. Please use my email, lacunae@email.com instead of my gmail account. Love reading these series and a great idea for a character cross-over to another series. Duck sounds like what I've been looking for. Would love to read this Christmas story. Ooooh. How cool is this? I love crossovers in tv and recently have found that I love them in books too! Hope to win. The series sound fun. Thanks for stopping by, Lexie! Thanks for information. Missed the deadline but am still adding author to my TBR list. Our winners are Rachel Mustain, Lavenders blue green and Joan Heelan Hadoc. Thanks to everyone for being here! Ooh boy! I am uber excited! Thanks!! !